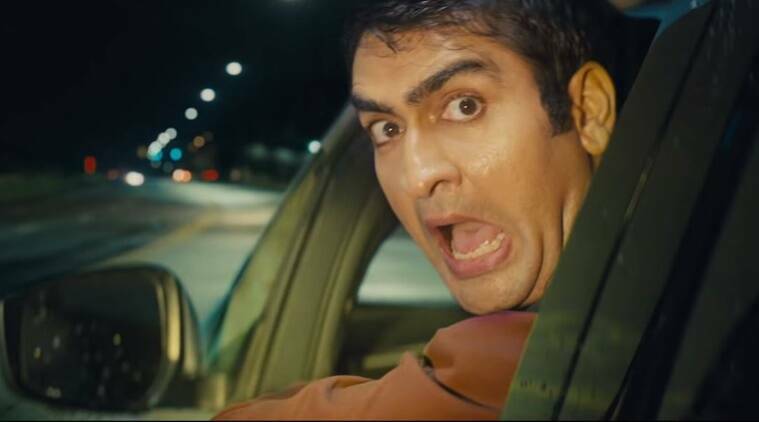 Stuber has an interesting pairing - Kumail Nanjiani and Dave Bautista. Kumail Nanjiani plays the role of an Uber driver, while Bautista plays a cop who is pursuing a dangerous killer. It appears to be a comedy in the vein of Tag and Game Night. Stuber releases on July 12 in the US. A new trailer for action comedy Stuber is out. The film has an interesting pairing – Kumail Nanjiani and Dave Bautista. Kumail, in a somewhat stereotypical way, stars as a polite Uber driver. Bautista is Vic, a tough, hardened cop who is pursuing a killer. The life of Stu, which is the name of Kumail’s character, is turned upside down when his car is booked by Vic. Stu tries to be nice to Vic, since that would encourage the latter to rate the ride 5 stars. Thanks to Vic, Stu too ends up being involved in the pursuit of a criminal. They eventually catch the killer but their troubles are just beginning as they are chased by what appears to be mobsters. Stu advises Vic to throw the propane tank towards the pursuers and shoot it. Vic initially laughs it off, saying this is real life, not Jaws. It works, however, and the mobsters’ car explodes, presumably killing everyone inside. Stuber appears to be a comedy in the vein of Tag and Game Night, mixing breathless action with quirky humour. It certainly looks like a lot of fun.